hi guys, i am working on (yet another!) 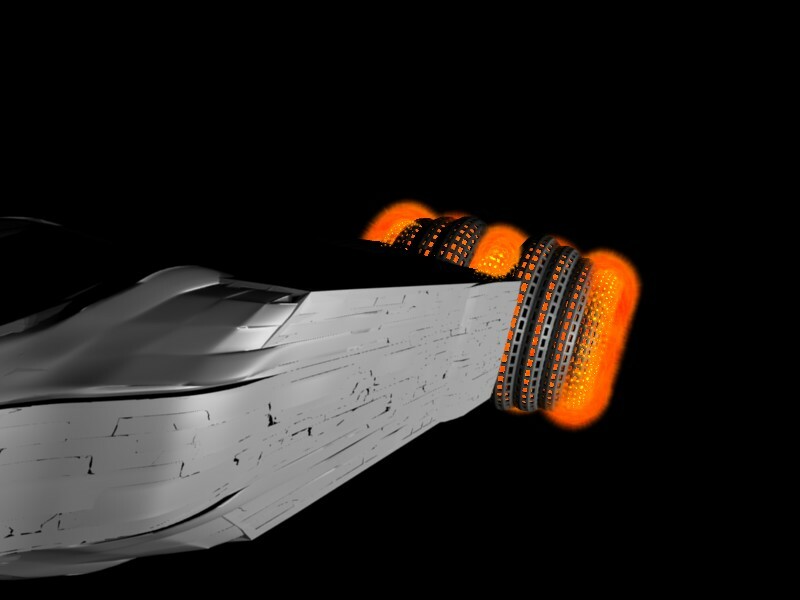 spaceship project and at the moment it is just a model, no real deatail at the moment but C&C would be greatly appreciated. i will shut up now so enjoy! What kind of propulsion does it use? 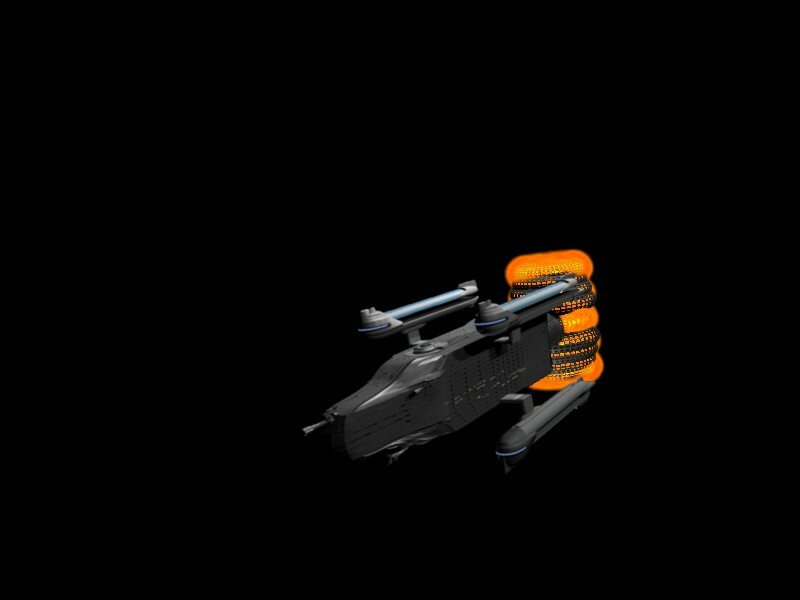 When I make ships I always like to how they run. It seems like some kind of sub-light-speed boosters. Perhaps an exterior electromagneticly reniforced matter/anti-matter reactor? Oh well, very good. ohh, thanks, and propulsion its a ummm six mark III IRACA rings! ok, a cloose up of the updated side detail! 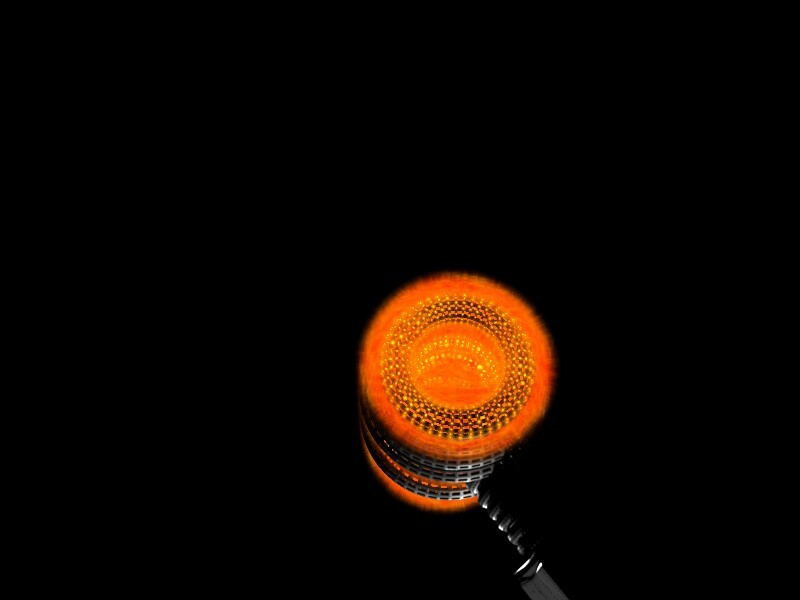 looks really cool, at first it looked like a yo yo but it has come along. Woah!!! :eek: I like the sleek design. But what’s up with the textures? It looks all stretched. I also like the “ion anti-matter wormhole thingy”. 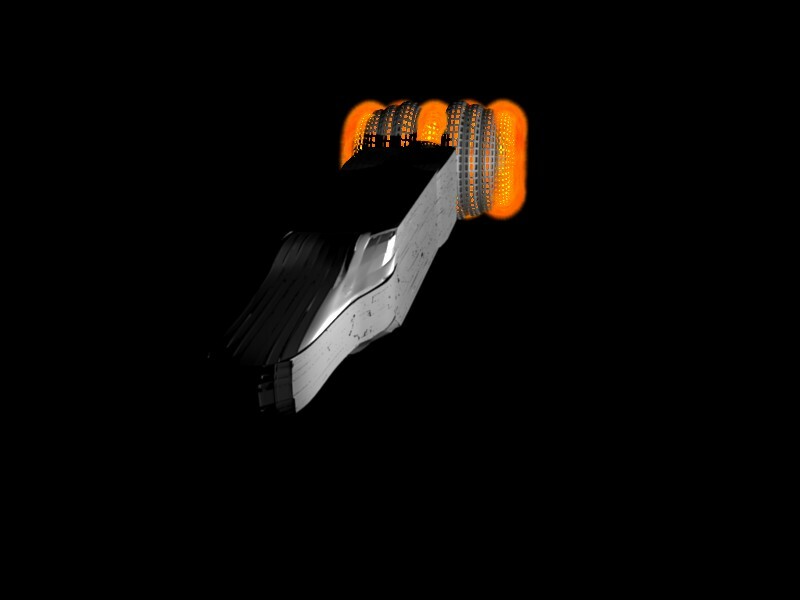 Few people realize that thrusters are useles when it comes to faster than light travel. That’s why I like the four big nasels because they look like something that would be able to create a wormhole. You should animate it jumping to hyper-light speed. I love your ship, b4 the 4 warp drives or whatever they are. its starting to look star trekki now. How did you accomplish that glow on just the back part? is that a layers thing? It looks sweet. Great job keep up the good work. the glow on the irca rings (the glowing orange things things) is simply a matter of duplicating the containment rings and setting them to halo and activating flare rings lines and star and changing the colours… try it yourself and see what you can get. it can be done with all shapes and colours! Is this a ship in the star trek continuium? The four warp pylons are the exact same ones on the excelcior version of the enterprise. The only reason why I am bringing this up because if you want a totally original design in a different universe, you may not want to kitbash a ship together. 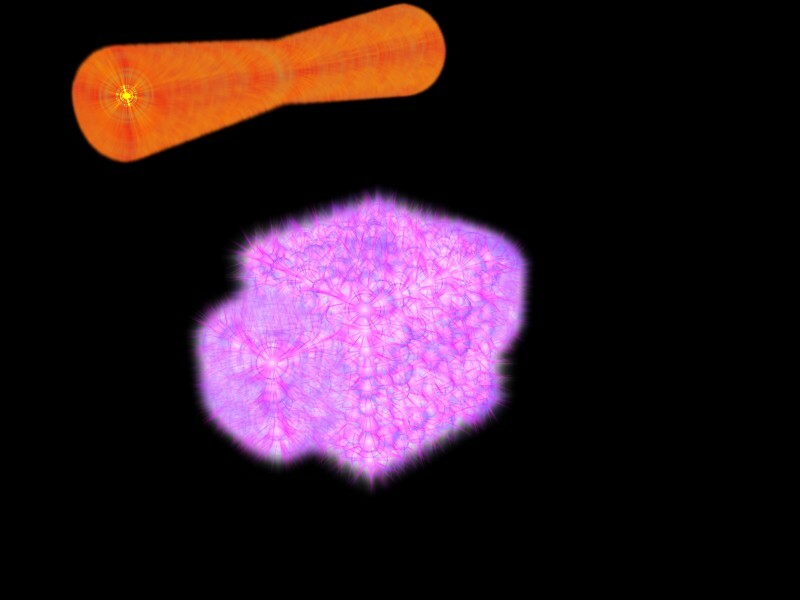 ok, i cant animate but i have created a worhole and a (worm! )hole new perspective (sorry that joke was bad) but i am planning to add some sort of beams that look as though they are opening and holding the wormhole open. opinions on this would help, thanks! d yeah the thewormhole accelerators look a little trekkie, any ideas on how to fix this? I like the worm hole. 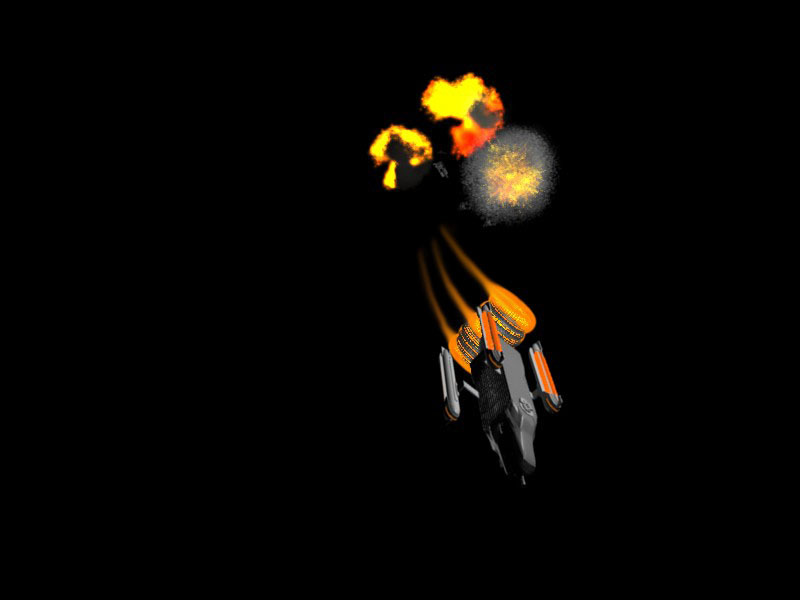 What you could do is place a particle emiter in front of the ship that shoots vector partcles around the ship. It would look similar to the worm hole that the Enterprise and the borg shpere went through on “Star Trek: First Contact”. this looks good, but you need more light on the front of the ship so you can tell when the ship ends and the wormhole begins. 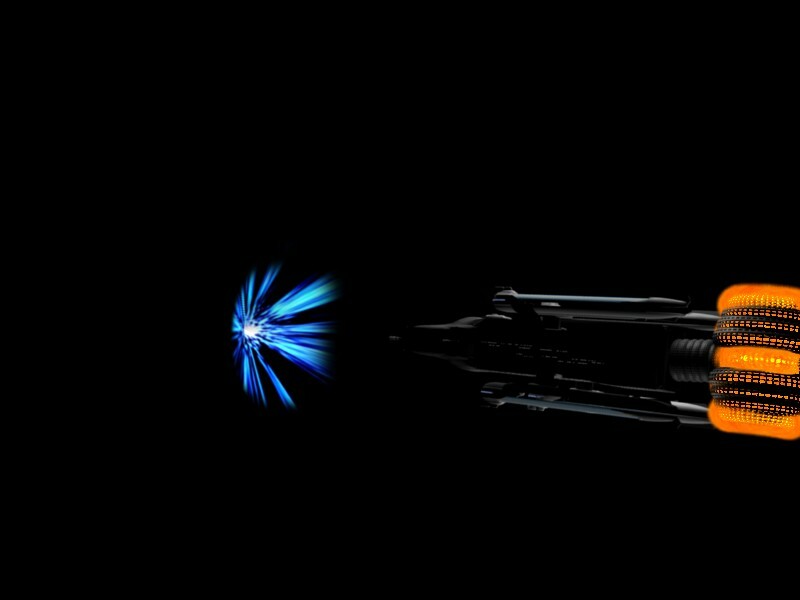 I like the Star Trek like nacelle’s! That’s great. You should render it battling another ship.